Description: Together with their cousins, Liz and Tom Austen plunge into a dangerous mystery after they see a yacht off Newfoundland’s coast. While they try to find out why the yacht’s light was flashing, they have to get past a group of people called the Renegades and someone named Hawk. 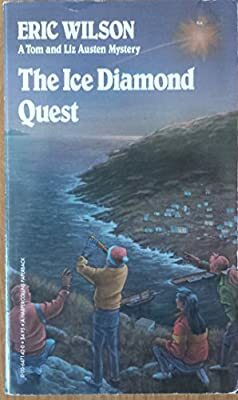 In The Ice Diamond Quest, Eric Wilson draws on Newfoundland’s customs and explores the environment, redevelopment and women’s rights. Wilson’s Liz and Tom Austen mysteries are in constant demand among young people who have tapped into Canada’s answer to the Hardy Boys.